It isn’t always about terror attacks or mass casualty incidents. Most often, the work of the Psychotrauma and Crisis Response Unit (PCRU) is quiet and emotionally straining. 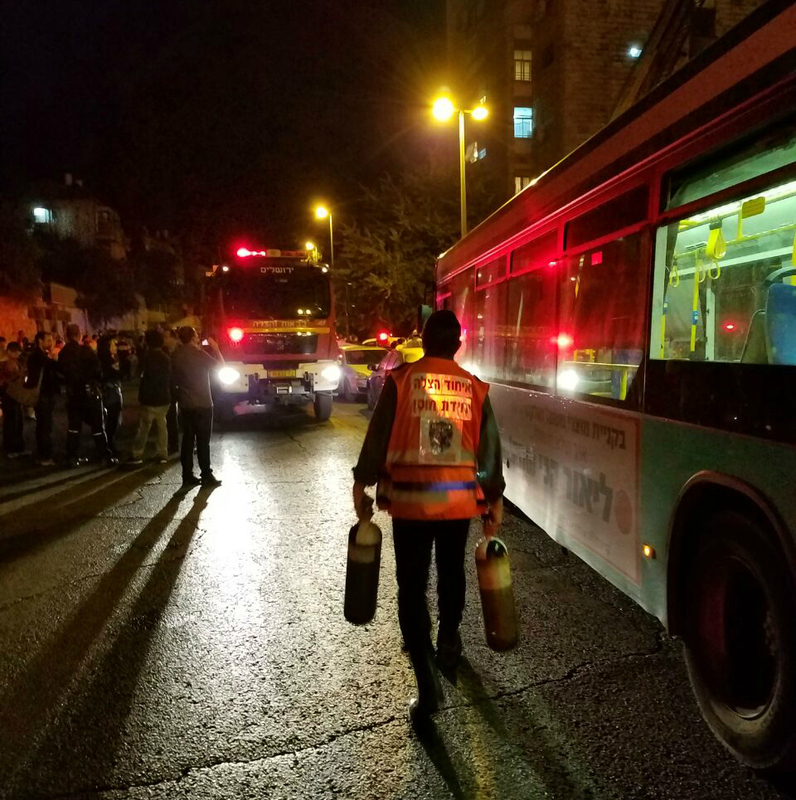 This quiet work of providing support to people undergoing an acute stress reaction as a result of suffering a trauma is being implemented by United Hatzalah both in Israel and abroad. It has been getting a lot of notice from organizations around the world, and the work of the unit is having a global impact, changing the face of emergency medical first response. United Hatzalah has become a leader in the field. Until now, trauma counselors have focused on long-term care for victims of critical incidents, such as school shootings, terror attacks, earthquakes and the like. Typically, trained therapists arrive on the scene as a team from other locations, arriving a few days after the incident occurred to treat large groups of people. United Hatzalah’s approach is unique. The trained first responders arrive quickly on the scene across the country whenever it is assessed that psychological first aid is necessary. Members of the PCRU often arrive while an incident is still unfolding or in the minutes immediately afterward and begin providing support for those in need. This could apply to the victim of the trauma, the person’s family, or even witnesses to the scene. Often, other responding EMS professionals also receive treatment for having seen the harrowing sights while providing treatment and thus preventing further stress reactions among the responders themselves. PCRU responders are there to offer empathy, to listen, to help those in need of treatment process and work through trauma. They provide a calming presence and help those in need connect with their pre-existing support networks and other resources and hand. The work of the PCRU unit is done on a volunteer basis and is completely free of charge. Here is one recent story of a typical call that occurred not too long ago that highlights the impact the PCRU is having on the individuals it helps. Shimon Rosinger is an exceptionally dedicated EMT as well as a member of the PCRU with United Hatzalah. He lives with his wife and 2 children in the coastal community of Hadera, just north of Netanya. Rosinger spoke about the incident. “Recently one Saturday night, a young couple in the community discovered their baby lying lifeless in the crib. Unable to revive their little one, the terrified parents dialed the emergency hotline for help,” Rosinger explained. “Arriving EMS personnel tried everything they could to revive the child conducting a lengthy resuscitation attempt. The child was transported to the hospital with CPR in progress. When word came back that the child had suffered from Sudden Infant Death Syndrome (SIDS), well-meaning relatives took the baby’s 3-year-old brother to his grandparents,” Rosinger explained. Rosinger and the other volunteer assisted with some necessary tasks inside the home and then accompanied the grieving mother in the back of an ambulance, as she headed off to the hospital to join her husband. Before the team left, however, the teary-eyed mother, surrounded by loved ones, expressed her profound gratitude to Shimon, who was there for her in her time of need. This entry was posted in Uncategorized and tagged EMS, EMT, Hadera, Israel, Psychotrauma and Crisis Response Unit, United Hatzalah. Bookmark the permalink.